Our wedding anniversary fell on Thanksgiving Day this year, so we celebrated the following evening at a local craft kitchen. My husband had the bison burger, and I chose the drunken chicken, a pan-roasted chicken breast smothered in a white wine sauce. It was nothing short of ah-mazing! But what really stood out to me was the side of maple roasted carrots. Yeah, I know what you’re thinking… “You’re telling me your veggie side dish upstaged your boozy chicken entree? !” But seriously, these carrots were stuck in my head for days after. 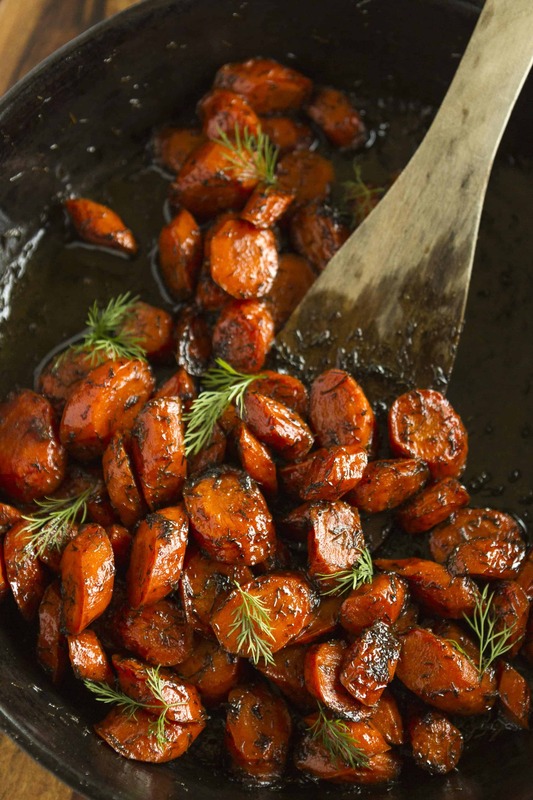 It became perfectly clear that I needed to develop a similar roasted carrots recipe at home. It’s sort of become my mission lately to develop delicious recipes with as few ingredients as possible, and this roasted carrots recipe is no exception. 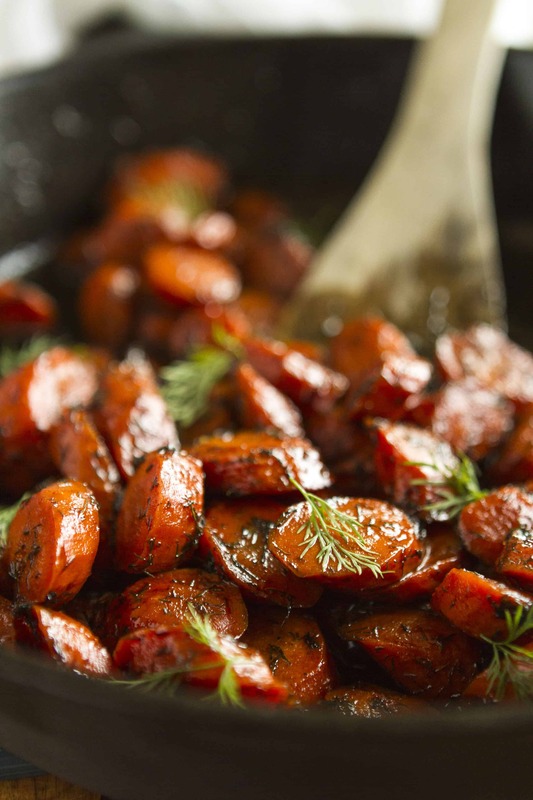 Just four ingredients combine to produce this super flavorful easy side dish: butter, carrots, honey and dried dill! 1. Brown butter — Oh my, if you haven’t made brown butter before now, you are in for such a treat! Brown butter, also know as beurre noisette (isn’t that pretty? ), is one of those magical ingredients that instantly takes any dish from so-so to out of this world. It’s much easier to make than you think. Simply melt your butter over medium heat, stirring occasionally, until it starts to foam and takes on a nutty brown color. 2. Carrots — You can use regular carrots or baby carrots in this recipe. I chose the former and sliced them on the diagonal to give them a slightly upscale appearance. 3. Honey — Organic maple syrup and organic honey are pantry staples that I stock up on at Costco. We’re out of maple syrup (darn kids and their waffles! ), so I swapped it for honey in my roasted carrots recipe. I love it equally, and honey is the more budget-friendly choice, so I’m planning to stick with it. 4. Dried Dill — I chose to use dried dill simply because I always have it on hand! You can substitute fresh dill, but you’ll need to use substantially more. Start with a heaping tablespoon and go from there. I recommend starting with high-quality butter, like Finlandia Butter. I always say that when you’re using fewer ingredients, purchase the best quality you can afford, and this creamy European butter is worth every penny. You might recall I used it in this homemade granola recipe (just 5 ingredients!) recently, as well. My local Walmart carries it, so it’s very easy to find! For produce, I typically follow the dirty dozen/clean 15 list when it comes to choosing whether to buy conventional or not. 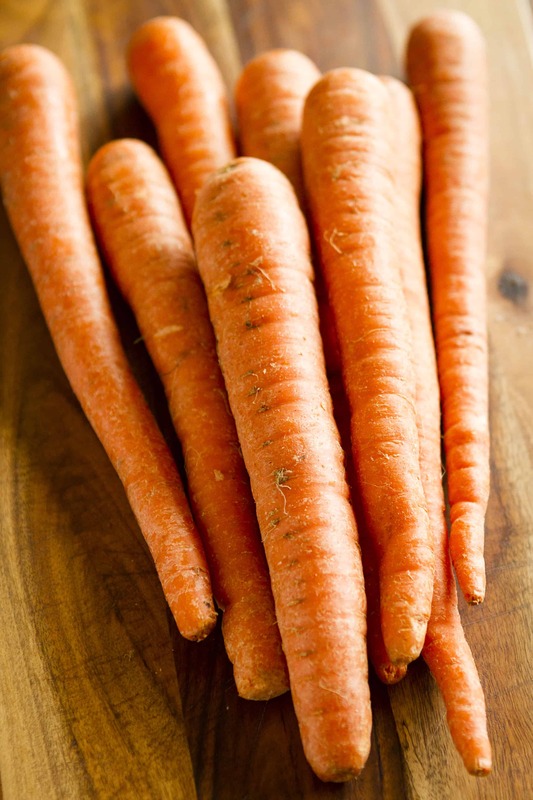 Carrots don’t appear in the dirty dozen, but they are in the top 25. The price difference was minimal, so I opted for organic in this case. Did I mention that this is also a one-pan dish? I love easy clean up!!! Just start with an oven-safe skillet when browning your butter. From there, you add the sliced carrots (be careful, the hot butter can spatter), salt, pepper, honey and dried dill. Stir it all together, and place the pan in the oven for 25-30 minutes, stirring occasionally. I like my carrots very tender, so I left them in for the full 30 minutes, and they were every bit as good as I remembered. The honey adds just enough sweetness, and the dried dill adds a bit of earthiness. Layered with the nutty taste of the brown butter, this carrot side dish even had my kids asking for more, please! 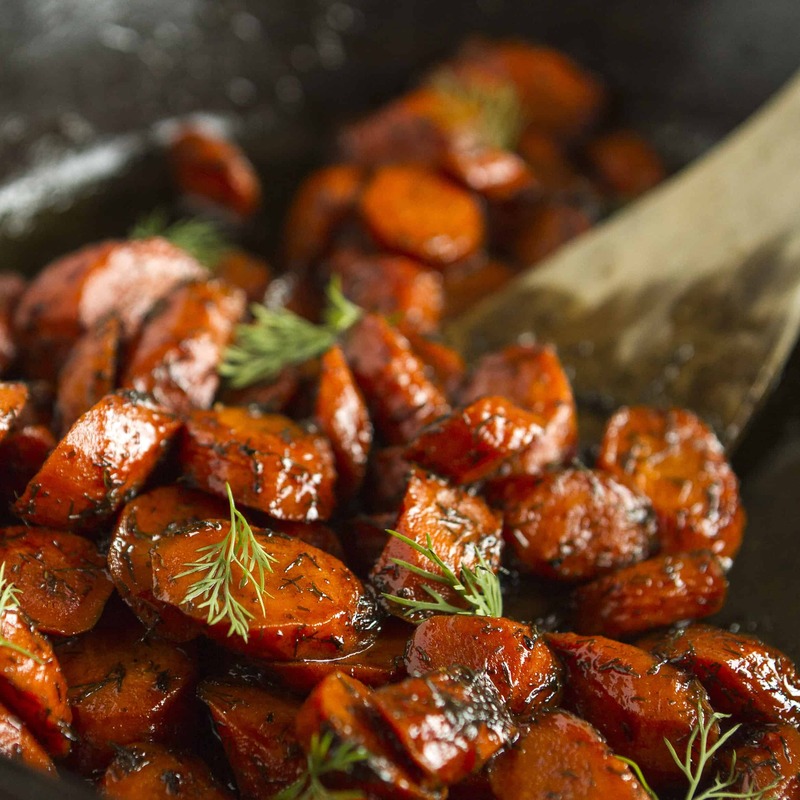 With just 4 simple ingredients, this flavorful roasted carrots recipe is sure to get the whole family to eat their veggies! 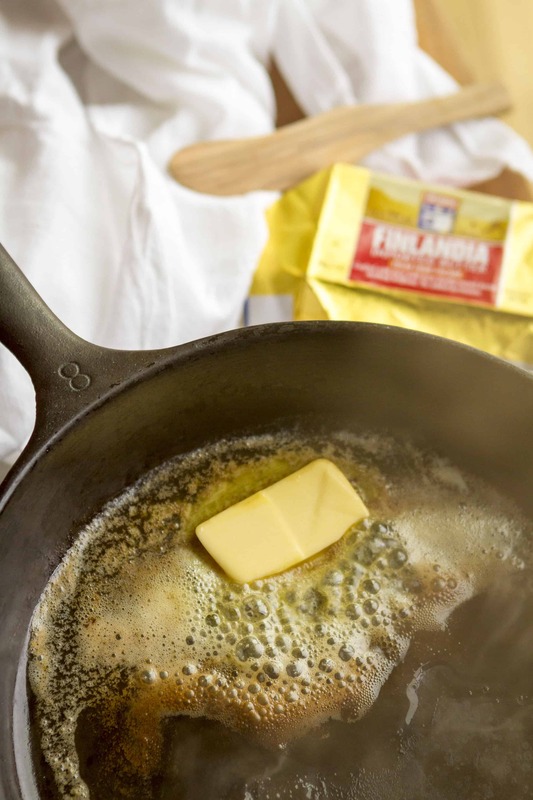 Melt the butter in an oven-safe skillet over medium heat. Continue heating until it starts to foam and turns a golden brown color. Carefully add the sliced carrots and stir a few times. Add the honey, dill, salt and pepper, and combine thoroughly. 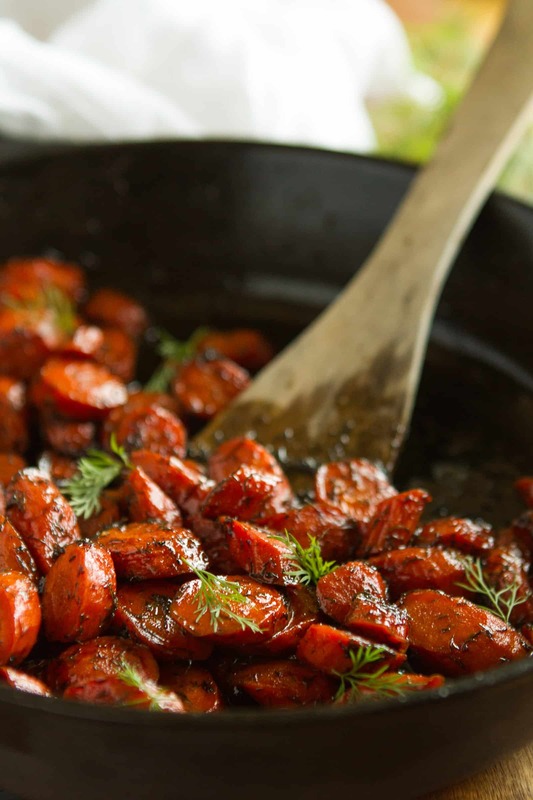 Transfer the skillet to the oven and roast for 25-30 minutes, until the carrots are tender and starting to caramelize. Stir occasionally throughout the roasting period. Cool slightly and serve. Check out the Finlandia website to learn more about their delicious European butter and Finnish cheeses. Register for their newsletter to received a $1 off Finlandia printable coupon that you can use on your next Finlandia purchase! This is a sponsored conversation written by me on behalf of Finlandia™. The opinions and text are all mine.